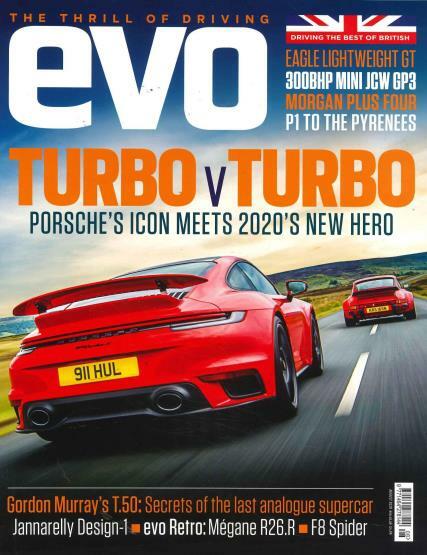 Evo is a monthly magazine devoted exclusively to the world’s most exciting drivers’ cars, from affordable hot hatches to high speed super cars and driving thrills, as represented by its two taglines in circulation. Buy a single copy or subscription to Evo magazine. “The fastest car reviews and news” tagline segment deals with news, data, videos, features, buying guides, trackdays accessible, only to its genuine subscribers. This game is exciting for a reason, and EVO brings out the edge-of-the-car-seat experience for the reader! The second segment deals with Car reviews with flashy brand images, wherein enthusiasts can search for car reviews, permitting selection of cars, make and model wise, in tune with their second tagline: “The thrill of driving”. Viewing of videos on super car on-track performance renders the experience even more exciting. Forums facilitate evaluation of super car performances. The logical conclusion to a product evaluation process being sale, an exclusive segment on Cars for sale deals with sales. Companies of popular performance car brands sponsor advertisements, making the car search exercise, a relatively simple affair for the genuinely interested. The Community segment ventures to bring all its members under one cohesive group and let them loose to experience the latest member photos with a provision for adding more photos at will, latest forum topics and more addable forums, upcoming events and more updatable events, latest groups and more groups, updated and images of the latest members.